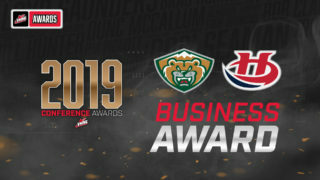 EVERETT, Wash. – The Everett Silvertips (@WHLSilvertips), proud member of the Western Hockey League and defending Western Conference champion, announced in conjunction with the WHL that Silvertips goaltender Dustin Wolf and defenseman Gianni Fairbrother were listed by National Hockey League Central Scouting in its midterm rankings, ahead of the 2019 NHL Draft on June 21-22 in Vancouver, British Columbia. 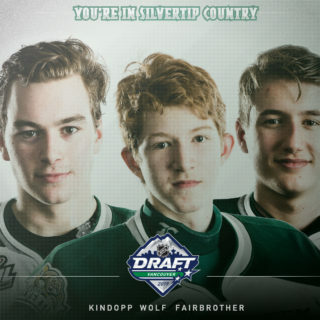 Wolf, a 2001-born goaltender and Fairbrother, a late 2000-born defenseman, are two of 48 WHL players ranked by NHL Central Scouting. Wolf is one of seven WHL goaltenders listed in the rankings, while Fairbrother represents one of 41 skaters on the list. Wolf, in his second WHL season, leads the league in wins (29), minutes played (2,489), tied for the lead in shutouts (4), is second in goals-against-average (1.88), and fourth in save percentage (.927). The native of Tustin, Calif. has earned WHL Goaltender of the Week honors three times this season and four times in his career, and was named WHL Goaltender of the Month for December. 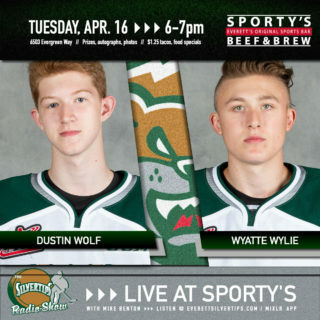 At just 17 years of age, he ranks fifth on the Silvertips all-time shutout list (8), and has compiled a 42-17-1-0 all-time record in 62 Silvertips games, along with a .928 save percentage and 2.00 goals-against-average. 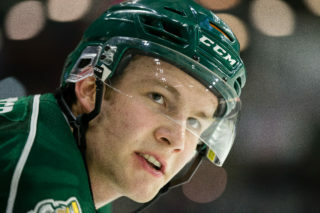 Fairbrother, a 6-foot, 195 pound blueliner, is third among Silvertips defensemen with a career-high 24 points (6g-18) in his second full WHL season, along with a +13 rating, 89 shots on goal, 61 penalty minutes, one shorthanded goal, and seven power play points (1g-6a). 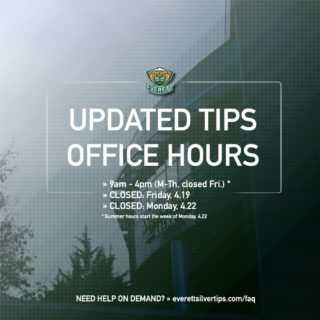 Last season, in an injury-shortened 33-game regular season campaign with 5 points, he helped guide the Silvertips to the Western Conference championship with four points and a +7 rating in 22 postseason games. The native of North Vancouver, B.C. has 29 points and a +13 rating in 79 career WHL games and four points and a +5 rating in 25 career WHL Playoff games.